Even though the UK seems to be getting one of those nice British summers, we are getting a few sunny days in between the cloudiness and rain. If you haven’t already tackled your garden earlier in the year and you are looking for some inspirations to spruce up that garden, please read on for our tips on garden paints. Apart from planting new flowers, plants and other shrubs, you can consider turning your attention to other parts of your garden. Have you ever considered coating your fences with some new paint or varnish? Did you know you can update your decking with special oils? There are even heat resistant metal paints available that would be perfect to repaint your barbecue or outdoor chimineas when they are looking a little rusty. If your barbecue is a prominent feature in your garden that is exposed to the elements for the majority of the year, it is very likely your barbeque has seen better days. Rather than having to replace the entire barbecue for a fresher looking one, Blackfriar have developed a high heat resistant paint that withstands high temperatures and provides a great looking matt black finish to metal surfaces. It is for both interior and exterior use, but is also on of the leading garden paints in the summer months; and it’s durable, hard wearing and quick drying. 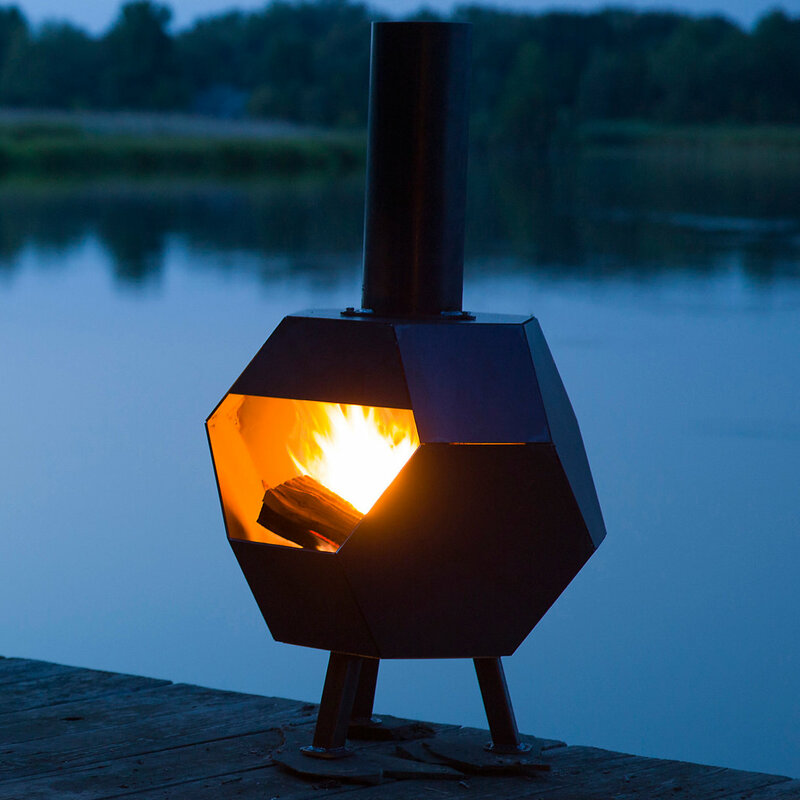 The heat resistant properties make it ideal to use on chimineas or barbecues that are looking a bit worn. Another product that can be used on barbecues is Rust-Oleum Heat Resistant Paint. As this paint comes in a two colours, black and aluminium, it could be a good alternative if you are looking for a different finish and your barbecue is mostly stored in a sheltered outdoor environment. One project that can quickly transform your garden is painting your fences. Depending on the size of your garden, this could be a time consuming task but the results will be worth it. How much time you have to invest in repainting your fences is dependent on their overall condition. If you have recently installed fences and are dealing with untreated timber or metal fences, there is little prep to undertake. You won’t have to deal with previous coats of paint or potential repairs to undertake. If your fences are a little older and previously painted, there are some measures to take to prepare the surface for a new coat of paint. 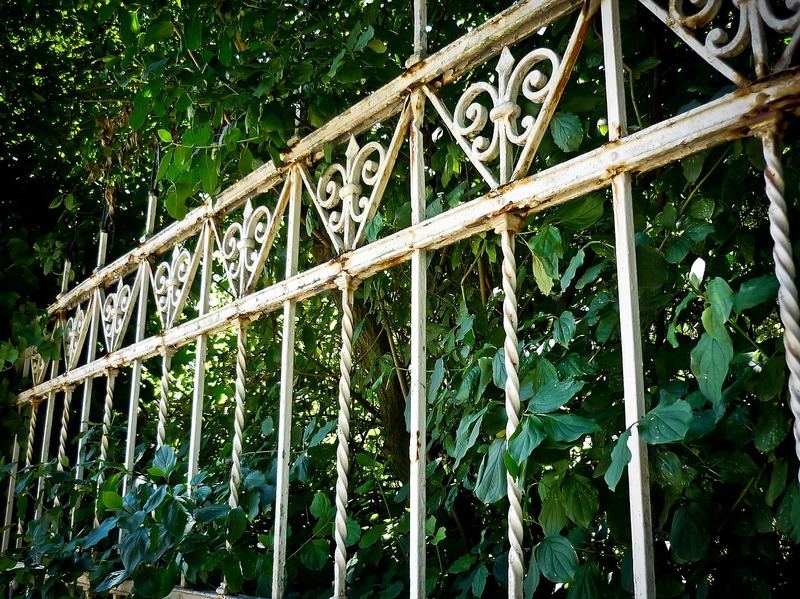 It can be quite a tedious task as it could involve stripping previous layers of paint, taking out rusty nails that are sticking out, removing rust or removing anything attached to your fences such as hanging baskets. Remember to protect your plants or any other plants and shrubbery around your fences. This can be done by plastic sheeting, or by tying any plants back that are resting against your fence. If you are dealing with metal railings, fences, gates, etc. and are after a specific colour, Rust-Oleum CombiColor is a great paint to use. It’s affordable, durable and comes in virtually all colours. You can also choose between a gloss, satin or matt finish. Not only is CombiColor weather resistant, it is also a primer and topcoat in one. It’s perfect for any metal around the garden! If you are after more of a wrought iron finish, then Rust-Oleum also have CombiColor Wrought Iron paint. This paint can even be applied directly to rust and produces a matt wrought iron effect. If you are not looking to coat your wooden fences in a specific colour but merely want to update the wood to make it look fresher, there are various oils, varnishes and woodstains to choose from. If you are looking for a highly durable product, then Jotun Demidekk Decking and Garden Stain might be the product for you. It is a special translucent woodstain for treating pressure-treated wood used in decking, fencing and garden furniture that gives up to 3 years protection in just 1 coat! It also contains pigments and a UV filter, which will protect the timber against degradation caused by light, as well as containing fungicides to combat fungus and algae growth. Another option could be Blackfriar Exterior Varnish that comes in a clear, oak or mahogany finish. When used with their UV Wood Primer, Blackfriar Varnish offers all types of wood great durability due to the UV resistant properties. If your fences are still in great condition and it is actually your shed that creates the massive eyesore, we also stock all season garden paints that will be great for this type of project. Despite the name, Bedec Barn Paint is not just suitable for barns. It’s also highly suited for various other outdoor buildings, including stables, sheds and even fences. It’s designed to protect wooden, metal and plastic cladded buildings. It could even be used on brick. On top of that, Bedec Barn Paint is also suitable to use over previously painted surfaces. Even if those surfaces were coated with tar varnish or bitumen. This Barn paint is available in a variety of colours, provides weather protection and is rot resistant. Even though this garden paint is easy to use, do take any prep time into account. Just like with painting fences, protect any plants or flowers that are close to your shed. If the previous paint is already peeling, sanding down and prepping the surface is highly recommended. 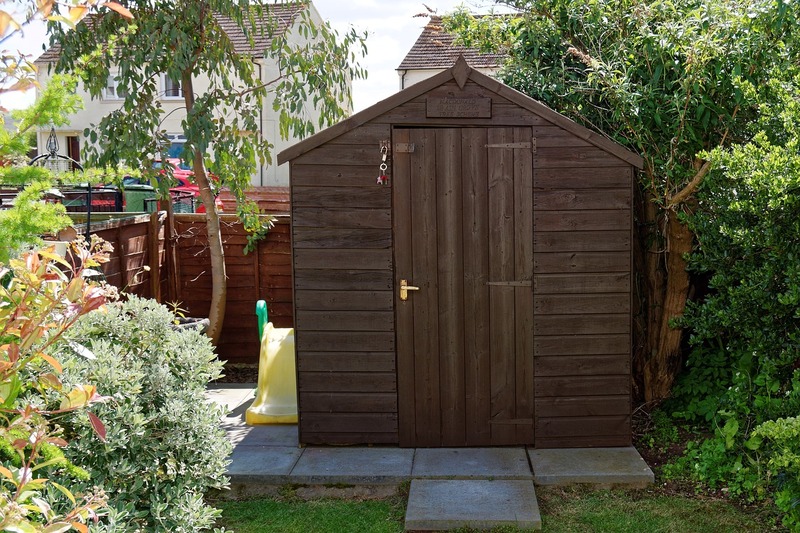 This will ensure your shed comes out looking its very best. 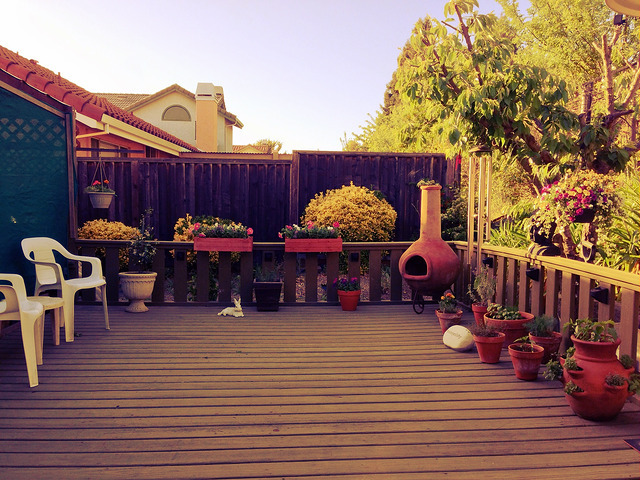 For outdoor decking, either newly installed or existing, various products can help you upgrade your deck. If you are looking for a nice finish as well reducing the risk of slipping on wet wood, then consider using Blackfriar Anti-Slip Deck Coating. As a clear deck coating with a low sheen it allows for the natural beauty of the wood to shine through. On top of this, it also creates a slip resistant coating for wet conditions. These properties make it ideal for timber decking! Before applying this coating, ensure the area you are treating is clean, dry and free from any contamination such as oil or wax. If the substrate is not absolutely dry before applying, blanching of the coating might occur. When working with previously coated surfaces, it is important not to skip sanding as it will aid adhesion. These are just some of the garden paints we stock that can help spruce up your green and pleasant land! If you need any additional advice, or would like some additional details on any of the products mentioned, please do not hesitate to get in touch. Read our blog post on how to paint a fence if you are looking for additional tips on how to tackle such a project! I just had a new fence installed around my property, and so I really appreciate you mentioning that it would be a good idea to use Rust-Oleum CombiColor paint on it. I think that I am especially in favor of it, because you said that it was affordable. As for being durable, though, how long do you think that a couple coatings of this type of paint will last without having to be repainted?